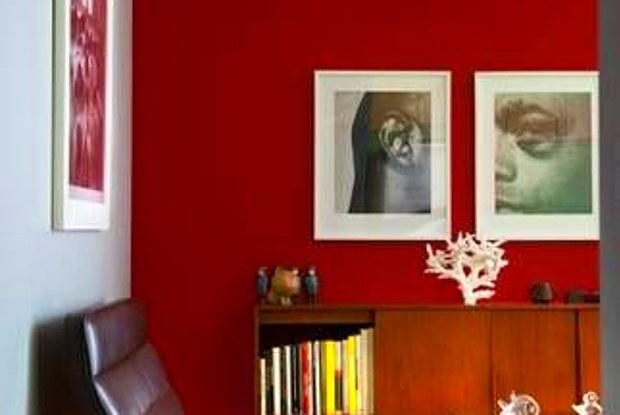 Fully Furnished One Bedroom in Emeryville-short-term: Im renting my furnished one-bedroom Flat, around 900 sq. 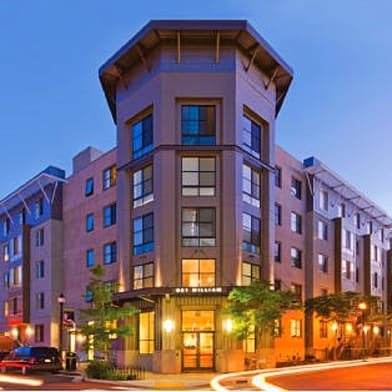 ft in Emeryville/ Oakland (move in and out is flexible) About the unit: City: Emeryville, Ca. (Between Oakland, Berkeley, San Francisco) Rent: $3150 per month, 3-4 months lease only (Entire condo) including everything cleaning fee is extra Cleaning fee: $120 a request fee every two-or three weeks (pay directly to clearing person) Security deposit: $4,000 at move in (only by PayPal) refund within 3--7 business day of moving out About the unit: This furnished one-bedroom Flat is around 900 sq. 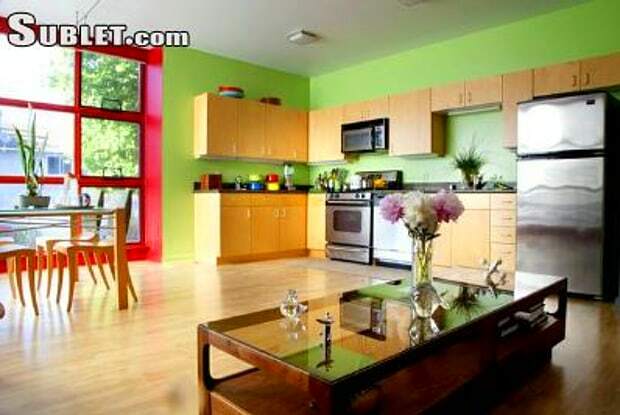 ft in Emeryville/ Oakland border California with floor to ceiling windows that open to the surrounding neighborhood. The flat is in a secure new building with open air the responsibleent you step out the front door. The tall ceiling flat has abundant natural light in the living room area and a large window in the bedroom with a back out blind for daytime rest. 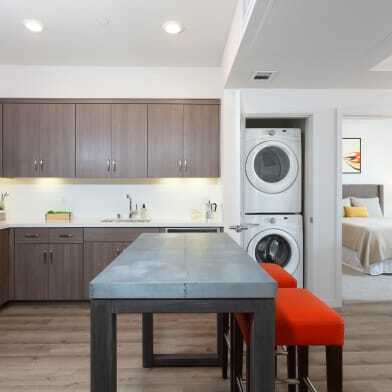 Also comes with the unit, Washer and dryer, Dishwasher, Heating, Wifi and fully furnished with designer furniture - including bedding, towels. The bedroom has a new queen-size bed with Egyption cotton with 800 sheets count and 3 years old Tempurpedic mattress and leather bed, desk Etc. The whole flat has silent In-floor radiant heating along with granite counter tops in the kitchen and bath. Stove, microwave, and dishwasher, and washer/dryer are included for your use. NO TV, No Phone but a super fast WiFi connection. One parking space under the building and street parking. 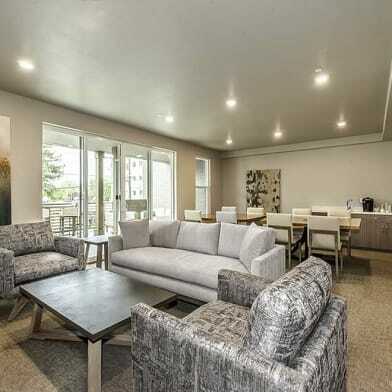 The flat is the corner unit in an award-winning green-designed building and just less than 10 minutes from some of the best groceries stores like Whole Foods, Berkeley Bowl. CVS and Safeway Store is less than 5 minutes walk from the flat. 16 AMC Bay Street, Nordstrom Rack, Target, Ulta Beauty, Gap, Apple Store are all walking distance. No pet, subletting, sublet, or similar thanks More information about the Neighborhood: Enjoy living in the East Bays popular NOBE neighborhood -- North Oakland/Berkeley/Emeryville. Located at the corner of 41st and Adeline Street, at the Emeryville/Oakland border, the location provides commuters with easy access to San Francisco and the greater Bay Area. Catch the Emery-Go-Round to MacArthur BART, located just 2 blocks away! Great shopping, restaurants, entertainment & transit are all nearby. The building is conveniently located near great shopping, restaurants & entertainment. Bay Street shopping, movie theater & restaurants are nearby. The Pixar Campus is within walking distance. Meet friends for happy hour at Hometown Heroes, Prizefighter, Honor Bar, Branch Line, or the Townhouse Bar & Grill - all in Emeryville. Head to Oaklands Temescal District, Hogs Apothecary, Bakesale Bettys, Pizzaiolo, Burma Star + all of the great shops & eateries located in Temescal Alley. Only 7 min drive to the Bay Street shopping center. Have a question for 1007 41th Street?